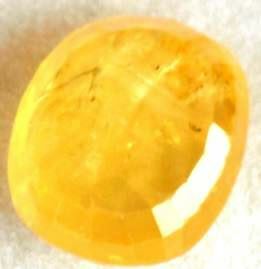 Displayed Yellow sapphire has no BLACK/Carbon dot inside or outside. Because of transparency and camera limitation, you may see dark background. 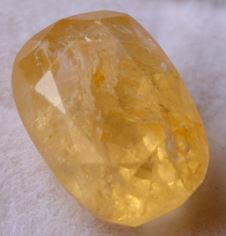 All yellow sapphires are very good for astrological purposes. 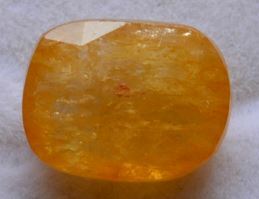 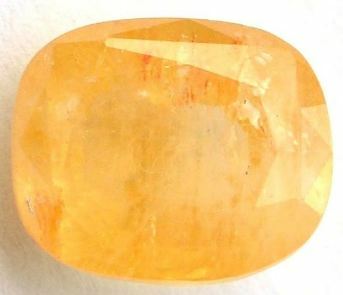 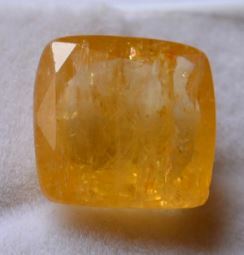 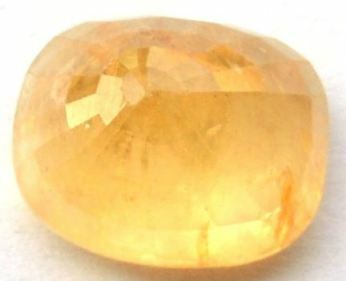 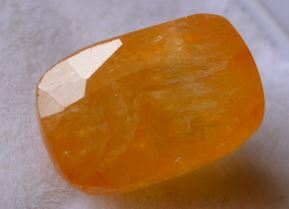 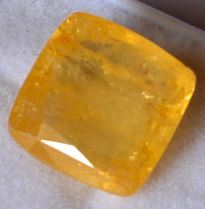 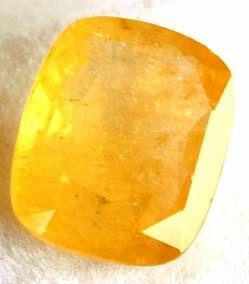 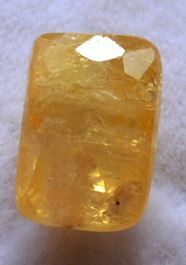 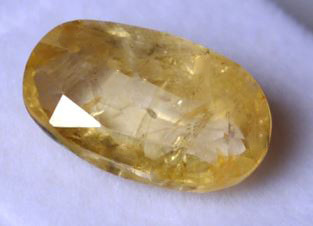 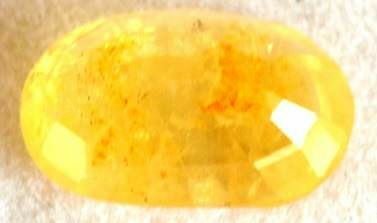 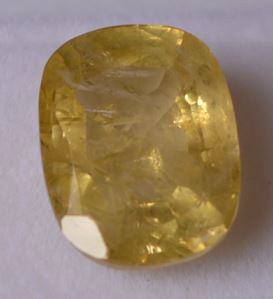 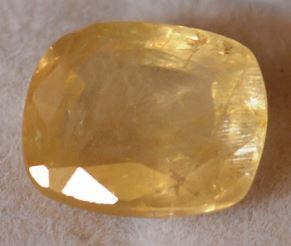 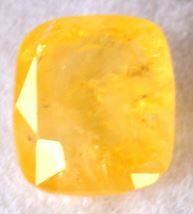 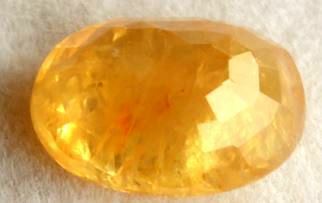 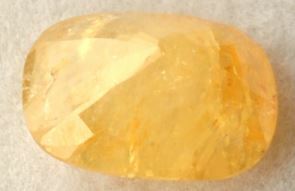 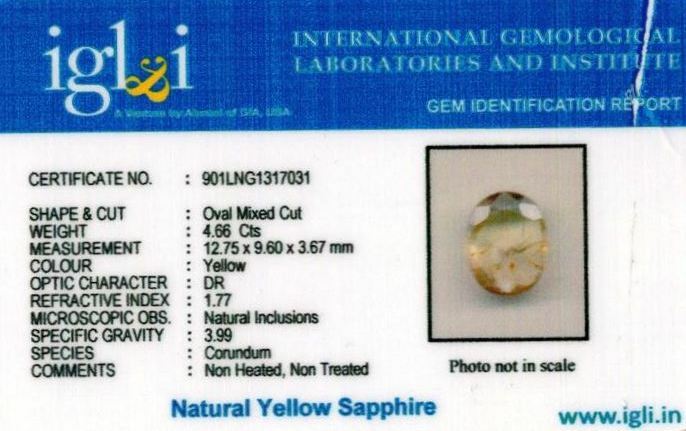 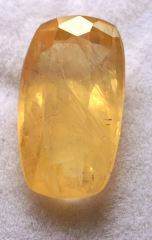 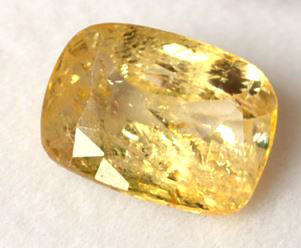 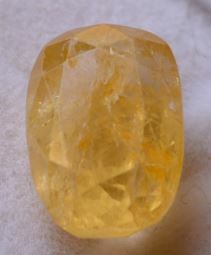 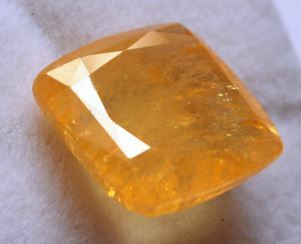 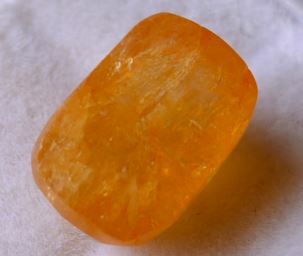 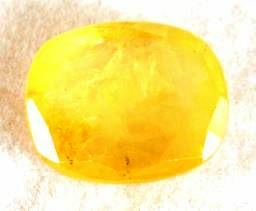 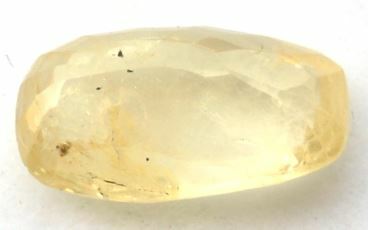 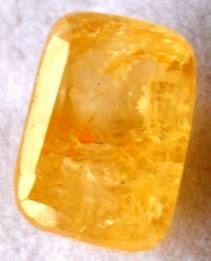 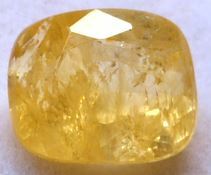 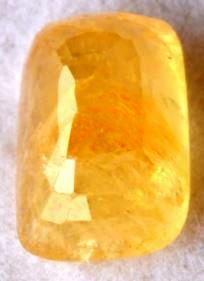 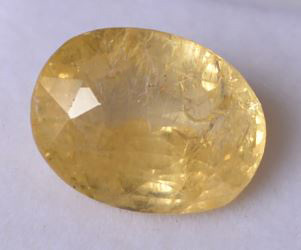 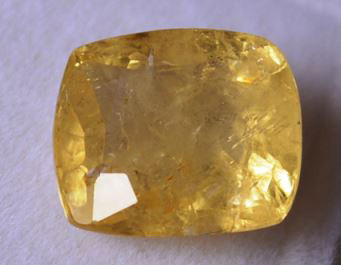 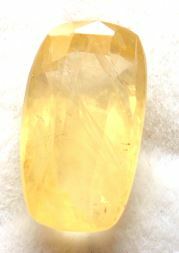 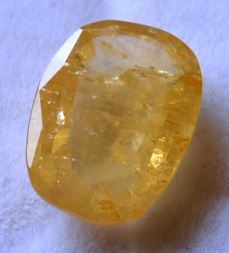 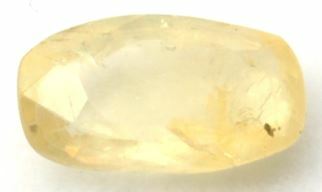 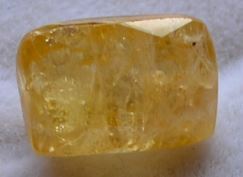 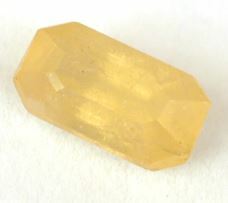 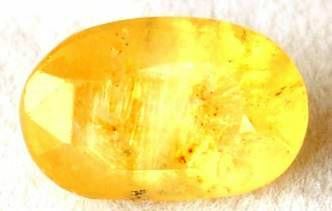 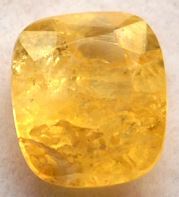 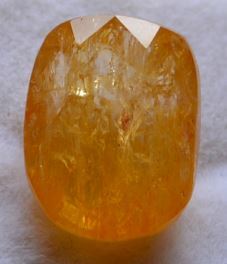 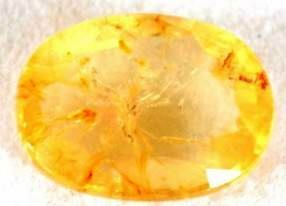 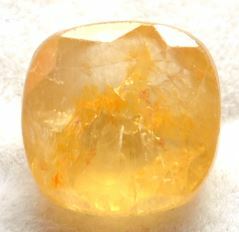 At Heerejawharat.com we have large collection of Srilankan (Ceylon) yellow sapphire (pukhraj). 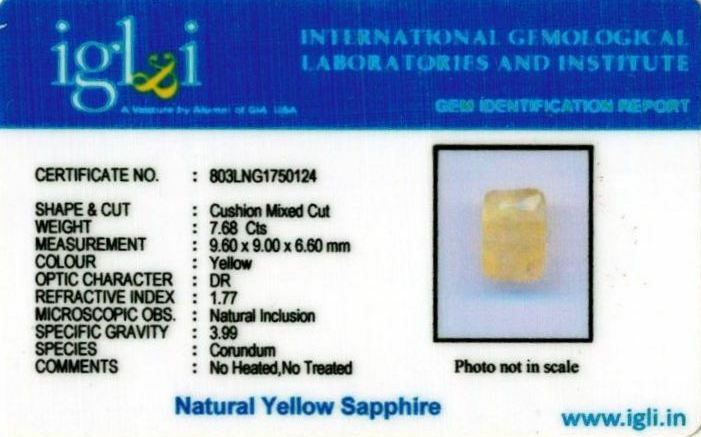 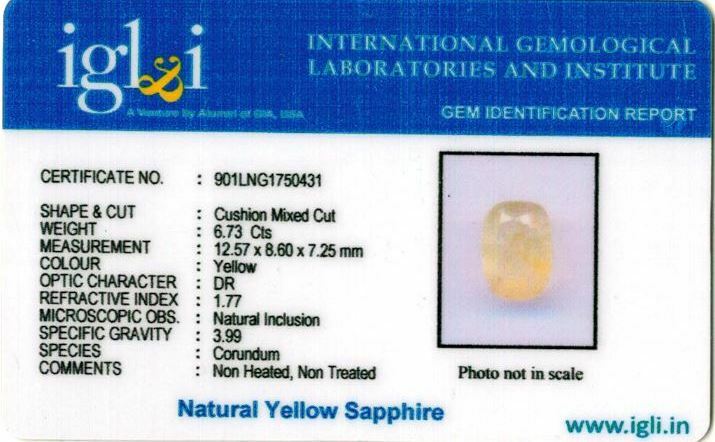 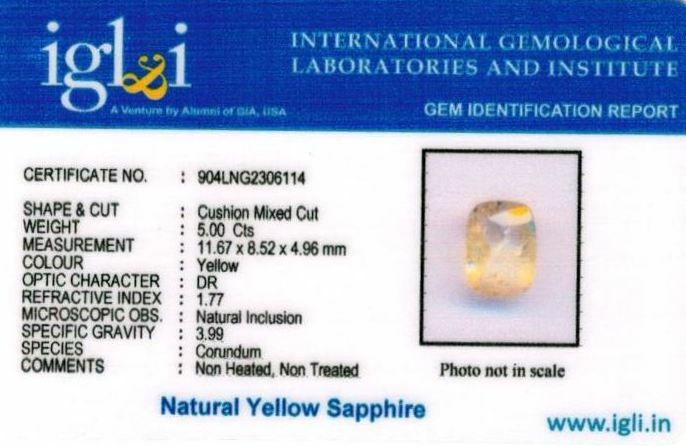 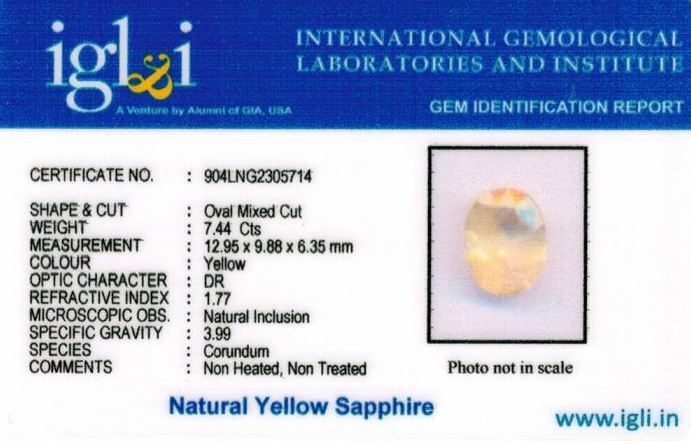 All our yellow sapphire (pukhraj)s are natural, unheated, untreated and shipped with original lab certified. 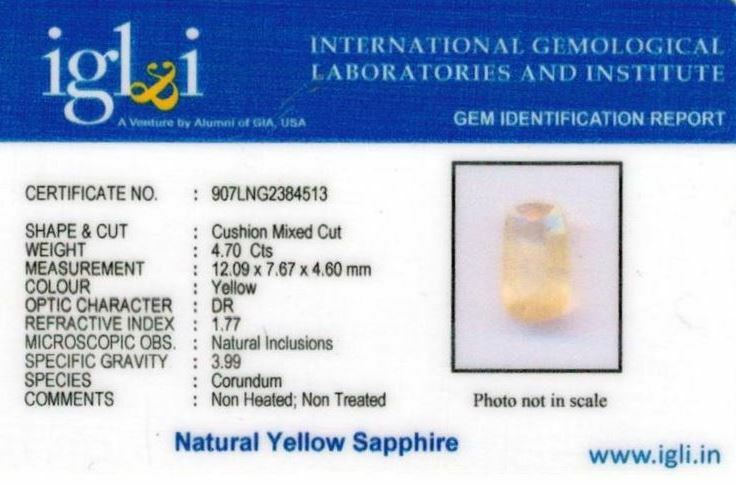 Which Yellow Sapphire Stone Should I Buy? 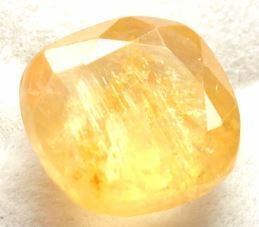 The stone's clarity should be from good to high, the color deep to light yellowish and it should be chemically untreated, unheated. 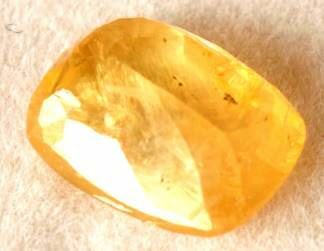 Normally, Untreated, Unheated Srilankan Yellow Sapphires are considered the best for astrological purpose. 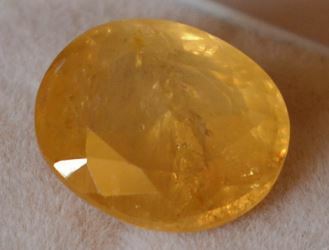 Who Should Wear An Astrological Yellow Sapphire Gemstone? 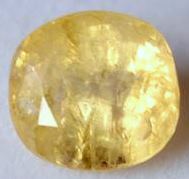 Yellow Sapphire is the birthstone for Sagittarius sunsign (22 Nov - 21 Dec). 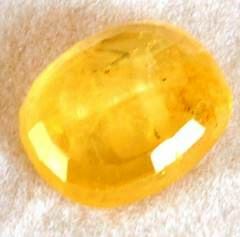 In Indian astrology, Pukhraj gemstone is the rashi ratna for Sagittarius and Pisces signs. 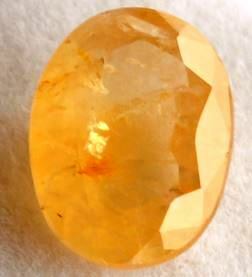 Yellow Sapphire stone strengthens Jupiter (Brihaspati) and brings its wearer wealth, wisdom, spirituality and health. Jupitar Known as the Great Benefic, Jupiter represents wisdom, religion, expansion in general, and wealth. 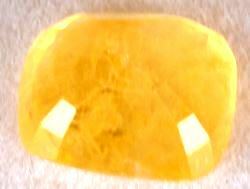 Individuals with strong Jupiters will tend to adhere to organized religions, usually the same ones as their parents. 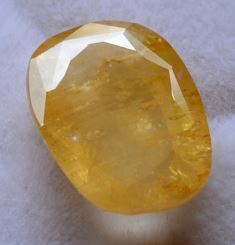 Strong Jupiter also tend to be well-educated people who are well-to-do. 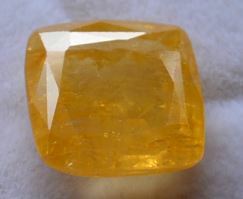 Ascendants of Aries, Cancer, Leo and Scorpio can also wear a Yellow Sapphire. 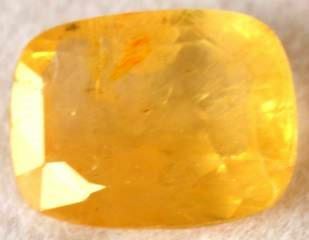 Yellow Sapphire or Pukhraj stone price depends upon its Weight (carat/ratti), treatments, it 4C's (Carat, Cut, Clarity and Color). 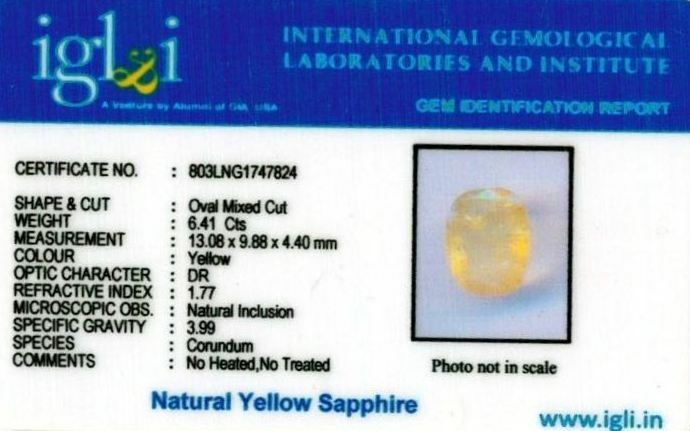 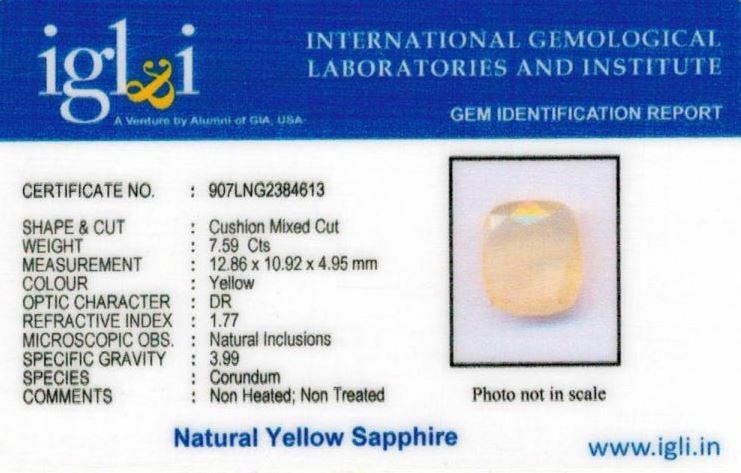 In general, our Srilankan Natural Yellow Sapphire prices in India ranges from Rs. 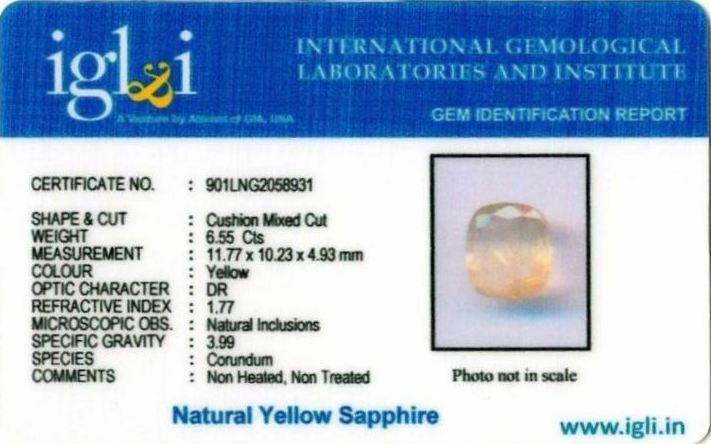 1500/carat to Rs 7,000/carat, these are best yellow sapphire stones for astrological purpose. All our Yellow Sapphires are natural, untreated, unheated and lab certified. As per our customers our yellow sapphires prices are 2-3 times lower than market qualitywise.